I profiled six jazz musicians for Michigan Avenue magazine in July, 2013. 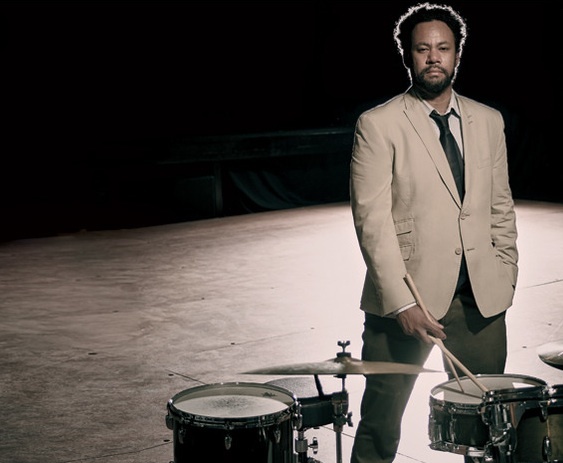 Here's a piece on Chicago jazz drummer Mike Reed. Refurbishing jazz history and setting the stage for the next chapter. These days, the Evanston-bred 39-year-old (who has recorded with Roscoe Mitchell as well as Rob Mazurek’s Exploding Star Orchestra) is a bandleader in his own right. Part of the original intent for his People, Places & Things group was “rediscovering and repositioning lost moments of Chicago hard bop”—but in the context of a modern group. Chicago’s role in jazz of the late ’50s and ’60s is something that Reed keeps in mind, and he sees the benefits of the Windy City’s close-knit, creative community. “The energy comes from the people, not from the products.” Reed, a key figure in that community, maintains a dense schedule. His trio Sun Rooms jets to Brazil in August, and larger group Living By Lanterns plays Sardinia later that month. People, Places & Things has a new record out late this summer featuring six guests collaborating on pieces in Amsterdam (which is kind of a second home for Reed), and he’s also a member of the Chicago Jazz Festival planning committee. More recently, he’s the prime mover behind Constellation, a new venue on Western Avenue with a name borrowed from a Chicago soul label of the ’60s. Focusing on progressive styles and improvisation, Constellation books everything from jazz to classical and electronic, filling the void of a “profile” venue. “There can’t be a weekend where there’s not jazz in there,” Reed explains.